I am home today. Craig, the kids, and spikesgurl are not. They all went to Wet & Wild and will be home this afternoon to wash up so we can go to Medieval Times tonight. We spent yesterday at Islands of Adventure, and tomorrow is Epcot, so I am resting. And okay, I don't do water parks, lol. The park was relatively uncrowded. 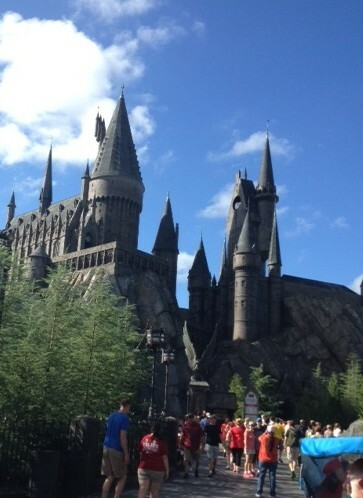 From what I've heard, lines could get insane for the Harry Potter stuff, so we went straight back and lo and behold, got into the Dragon roller coaster without a line, just waited a couple minutes to sit in the front, and didn't have to wait for the Quidditch experience at the castle at all. It really is stunning what they've done with the art direction. It's so immersive and really gets you into the moment. 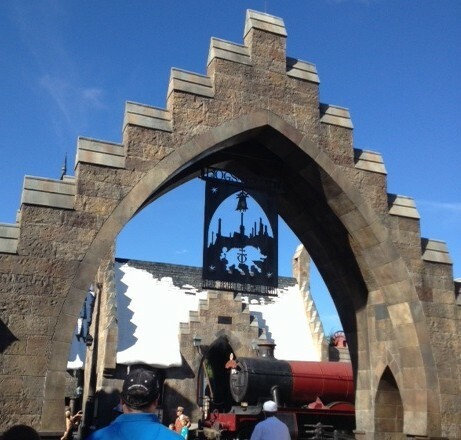 Loved, loved, loved the dragon coaster (though it scared the bejeezus out of me) and the Quidditch experience was wonderful (though it definitely has a horror element that worked a little too well, lol). We all had frozen butterbeers, ohmigod yum! Like a butterscotch cream soda slushie with butterscotch whipped cream on top. 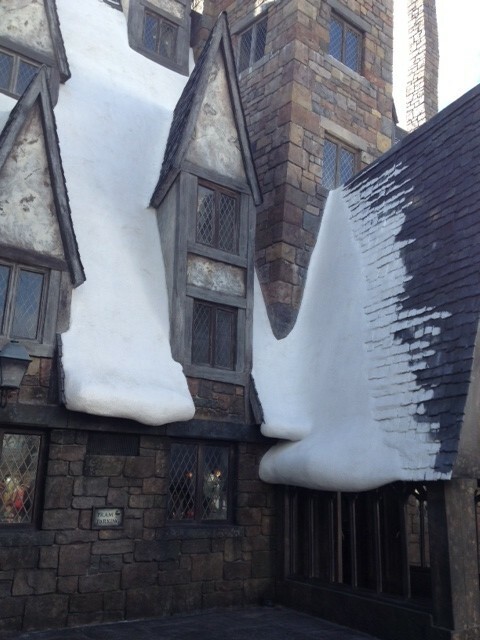 Lunch was at the Three Broomsticks where we tried pumpkin fizzes instead (more yum!). The line at Ollivander's was too long for us at this point, so we decided to walk around the rest of the park instead. My hip/thigh was starting to really bother me, so I popped some ibuprofen and watched bags while everyone else went on a few water rides. By the time they were done with those, I was fine and could enjoy more coasters and rides. We were all getting tired, so we headed back to HP to pick up some souvenirs, and lo and behold, the line for Ollivander's was tiny. We only had to wait 10 minutes to go in for the wand demonstration. For those not in the know, the demo at Ollivander's takes in a group of 20-30 people. Once inside, Ollivander picks one person and acts out getting the wand, complete with special effects and lights. Well, Alex got picked. The person who let us in seemed to position us specifically, which I thought a little odd, until after Alex got picked and then made sense. I mean, here's an 11 y/o quiet boy wearing glasses showing up at Ollivander's. All he was missing was the scar on his forehead, lol. Alex was a trooper, even though he is so shy in front of people. Ollivander had to prompt him to speak up a couple times, but it was still fantastic. Needless to say, we bought wands afterward. 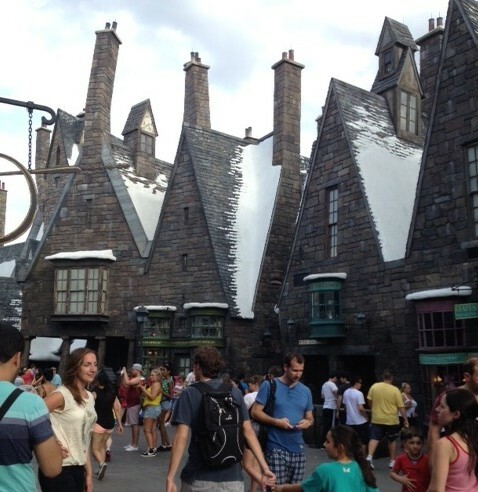 We bought one more butterbeer apiece and then headed out. We were going to grill for dinner, but Craig and the rest of us were so tired, we just ordered in. Which is another reason why I'm home today and think they're all crazy for going out today, lol. I actually managed to get a few pics of the Harry Potter stuff, though not of Alex since it was so dark in Ollivander's. spikesgurl got a few, so maybe I can lighten those when she sends them to me. I love going off-season. The longest wait was the first water ride, where they had to wait for half an hour, but that was it. And not having to wait for the Harry Potter stuff (outside of the 10 minutes for Ollivander's)? Fantastic.